The office market downtown Charlotte is tight. Especially for tenants looking for available spaces larger than 50,000 sqft. The Charlotte Business Journal recently ran a story on the 7 buildings with the largest amount of available space now and whats coming to market over the next several months. 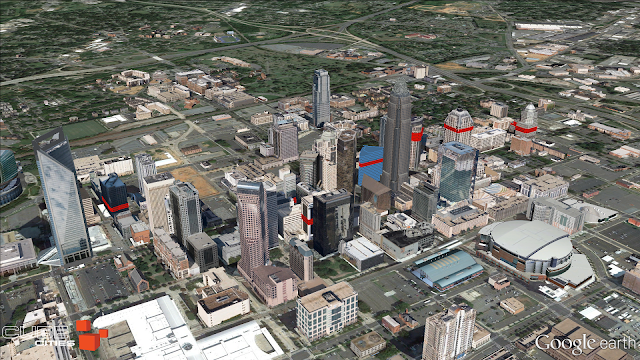 Cube Cities has produced a sequenced video that shows exactly where these spaces are located in each building, flying from space to space in concert with the article's slideshow. It's easy for Cube Cities users to produce videos like the one above for any large city in North America. Sign up on our website to create your own flight of available office space options. 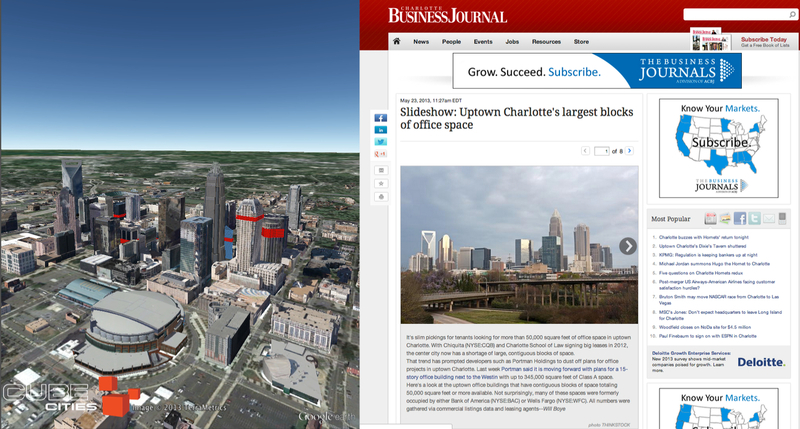 Update: Charlotte Business Journal Writer Will Boye responds to our data visualization of his article, read it here.